This time of year it’s possible to find two queens in your colonies, don’t panic, this is often caused by a silent supersedure. That’s where the bees decide that an old queen or under performing queen gets dethroned by the worker bees. So I guess bee colones are more of a democracy rather than a monarchy than you would think. A blog from our national bee society mentioned this issue recently. I think this is what happened to Sif last year. I was already not very satisfied with the queen but didn’t get to replace her. 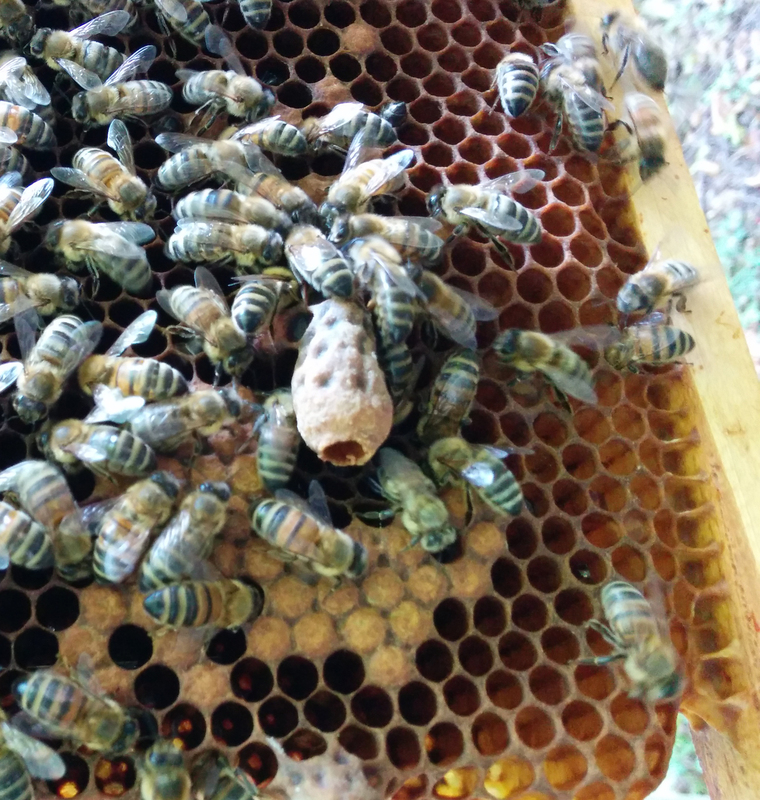 Then I found an empty queen cell in early fall. I didn’t know what to do, but already suspected a silent supersedure. As I hadn’t marked my queen, I had no way of knowing. What I don’t understand is why the new queen doesn’t eliminate the old queen immediately, and if she doesn’t what happens to the old queen? Does the new queen kill the old queen later, after a nuptial flight? Do the worker bees eliminate the old queen? Does the old queen leave of her own accord? I don’t know, although the last option seems unlikely to me. Anyone have any idea? Okay I don’t know if it is actually new, the method is so simple that I can’t imagine that no one has ever used this before. There was an article in the monthly magazine given out by the Dutch national beekeepers association about this Varroa treatment and I had not yet heard of it, it sounds quite intuitive. In this treatment you would wait till after the last honey harvest so this time table is dependent on when you finished that. Starting too late will perhaps impact the rearing of winter bees. With this treatment, say in the first week of July, the queen should be caught and then trapped between two queen excluders in a honey super with at least 5 drawn frames at the bottom of the hive. Two weeks later the frames with brood should be removed and replaced with new drawn frames. A week after this, the queen excluders should be removed and a week later still you should remove the frames with closed brood along with the the honey super. Now the idea behind this method should be quite evident and seems simple. You don’t give the varroa any other place to hide accept in the brood, trapped in the supper with the queen. By taking away the brood you, over a number of weeks, take away most if not all Varroa mites. The only drawback of this method I see, is that this would impact the bee population quite dramatically. You would essentially be removing almost 4 weeks of new bees from the hive. The reasoning behind this method according to the article was that treatment with formic acid, which is common in the Netherlands at the end of summer, takes a hefty toll on the bees. Living in the fumes of 80% formic acid for over 3 weeks can’t be fun. I should know, I got 80% formic acid in my face once and let me tel you, that wasn’t pleasant. So I guess all methods of treatment have drawbacks and you should go by you’re own experience. But with the number of colonies I have (uhm…one), I can’t experiment. So I guess this year I’ll be using the method I used last year which was the Apiguard variety. But this year I’ll keep a close eye on the mite drop (and look for any ants) not forgetting the Vaseline this time. But what I would be more interested in is knowing what percentage of the bees themselves survive the winter with or without moisture quilts. Rusty seems to have quite a large number of hives, estimating from other blog posts I’ve read, I’d say well over 10. My own two hives can hardly provide enough data to get any significant results on hive level. Thats why I’m more concerned with how many of the bees in the hive survive winter, if more survive then the hive will start the season healthier and grow faster. I’m preparing the colonies for winter; I’ve assessed the amount of honey in the hives and the size of the colonies. There are about 7 frames of caped of honey between the two hives, perhaps 14 kilograms total. Both Sif and Artemis seem large enough to survive winter on two brood boxes. The bees need about 15 kilograms of either honey or sugar to make it through winter. Which would mean that after I divide the honey evenly between the two colonies, they both need an additional amount of about 9 kilograms of sugar in about 11 liters of sugar syrup. Then I still need to place the caped honey on the outside of the hives because caped honey is very slow to go bad and the bees spend little time at the outside of the hive. Last thing I have to remember to do is reduce the hive opening, to prevent mice and robing by other bees and wasps. I’ve placed the (2 liter) feeders in the hives yesterday and filled them with about 2 liters of sugar syrup. I forgot to take a picture, but will add one the next time I fill the feeder, which will be in a day or two. They empty the feeder within two days. Which is extraordinary when you think about it. A bee can carry about its own body weight in honey/syrup, 0.1 gram. Which would mean that if one bee were to empty a feeder it would have to make the journey from the feeder and store it in a cell 26 thousand times… I’ll go see the day after tomorrow how far they emptied the feeders and return if they emptied them. There are mixed reports what to do with humidity and ventilation. I’ve seen stories about constructions on top of the hive filed with wood chips to deal with humidity. But I also read somewhere else about having a sheet of plastic beneath the hive cover to provide water for the bees in the form of condensation droplets. I do’t know what is supposed to be the better choice. Likely it is dependent on climate, and I don’t know aht whould be the best strategy for the Dutch klimat. There was some fungus growth after the last winter but I read somewhere else that this is normal and should be expected. When these preparations are finished there will be nothing for me to do, until near the winter solstice, when the bees will get their oxalic acid treatment. Edit: The bees emptied the feeder within two days, as I thought. But many bees died in the process. Perhaps that is because the second cover of the feeder is missing and the bees will enter the feeder from behind the excluder and easily drop in the syrup. I’ll order a new cover for the feeders asap, and I hope that that will help. I left the dead bees in the feeder because bees that drop in the syrup perhaps can use the dead bees as flotation devices and crawl to safety. Edit2: I just gave them their third serving of sugar syrup (6 liters total) and placed the second cover on the feeders so the bees couldn’t access the syrup directly and consequently fall in and drown. I talked to a fellow beekeeper visiting the apiary and he told me that he just used a tub with room for about 8 liters of syrup in which he put straw to prevent the bees from drowning. Hay would grow fungus pretty quickly (something I have already experienced) but straw wouldn’t and the bees would clean any trace of syrup from the straw. I’ll see if I can get my hands on some straw (from a local pet store or something) without turning my home into a barn, perhaps keeping the straw at the apiary would be the ticket. Because of the nice weather in winter and spring the varroa populations have exploded. Winter treatment against varroa using oxalic acid is used during winter because that it is the only time that the colony is not expected to have any brood. A single treatment should impact all varroa as there should be no varroa protected inside caped brood cells. But because of the mild weather this winter there is a good chance that the bees did have capped brood, most likely filled with varroa. And then there was the mild spring which gave the mites a head start in the bee season letting their population grow to new heights. That is why this year the varroa treatments here in western Europe are especially important. Varroa can be a major cause in colony death over winter. More so than lack of food or extreme cold. 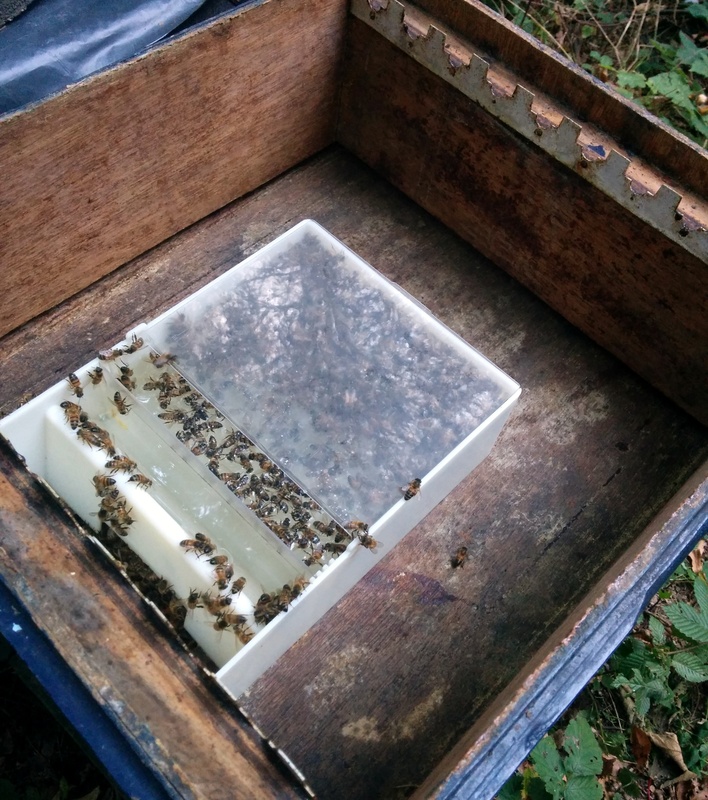 The local apiarists organisation in the Netherlands has published an article on the explosive varroa population growth. A beekeeper counted 4 times the varroa he would count in an average year. You can view a translation of the article by following this next link (in all honesty the translation isn’t all that good, but kind of readable). I’m not sure how the varroa population is going in my hives. I’ll check the mite drop after the 5 weeks of apiguard treatment tomorrow and update this post accordingly (if the weather allows, lot of rain here lately). 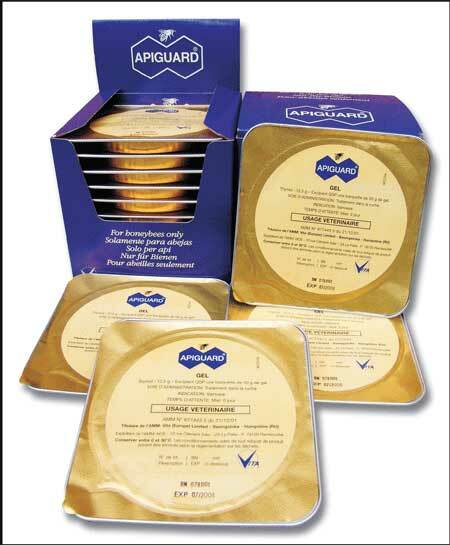 I’m using a, for me, new tool in my effort to combat varroa in my colonies, apiguard. You place a “serving” of apiguard on top of the top bars of the frames and leave it there for two weeks and repeat. The gel acts like a slow thymol release agent. Thymol is a naturally occurring substance that has proven to work as an anti varroa agent as well as being an antimicrobial and fungicidal substance. Seeing my earlier experience with formic acid, this perhaps is a good alternative. Although I forgot to place a bottom board in the hives to see the varroa drop, thus making it hard to compare it to the formic acid treatment. But perhaps I’ll see less varroa in December when I treat with oxalic acid because of this treatment. You do need to be done with your honey harvest because the thymol will also dissolve into the honey giving it a distinctly unpleasant taste. You should also not feed the bees while giving this treatment because the bees will be to busy with storing the feed syrup to disperse the thymol gel. 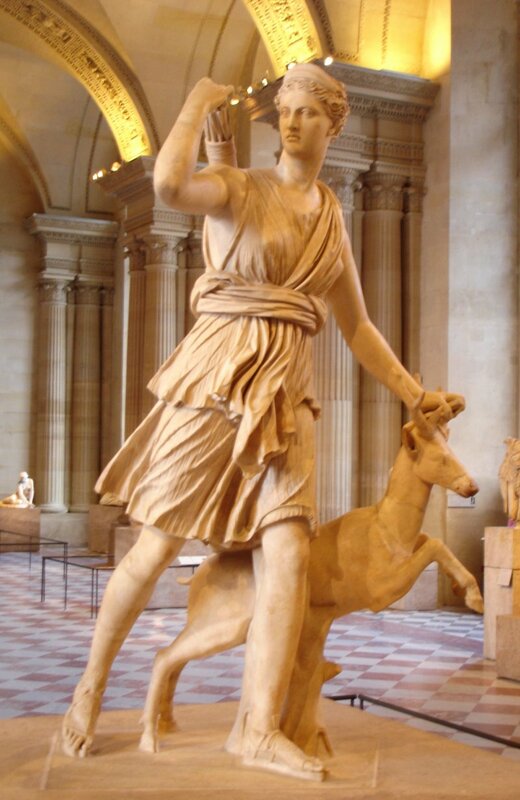 Otherwise Sif and Artemis are looking good. Next on the todo list is judging the fitness of the colonies in the light of winter survival. Will need to asses their size and food supply to estimate how much feeding they will need. I haven’t posted for a while, partly because I have a new job and partly because very little has happened with the bees. I just put on a second brood chamber and I’m still not sure if I’ll have to create an artificial swarm this season and if I’ll be using a honey chamber this year or not. I think not as it is already past the summer solstice. I’m still not so sure about this queen the colony seems to be growing very slowly, maybe I’ll remove her next month if I feel the colony is still lagging. I met a fellow apiarist at the apiary this Friday who I hadn’t seen there before (although that isn’t saying much). He told me he had 5 hives there which were proving more work than what he had bargained for. and was willing to sell a colony to lighten his load. As I haven’t heard anything about the other colony I maybe could take over, I am anxious to get my hands on a second colony from somewhere. Update: Well I bought a colony from the guy I mentioned above. The fellow apiarist had just taken an artificial swarm from the colony and was waiting for the new queen to start laying before selling it. Well, the queen is laying like crazy as far as I can tell. We checked the hive today and the colony, on a single brood chamber right now, is already pretty big with about 7 frames full of brood at the moment. I’ll have to add the second brood chamber pretty soon or the single brood chamber will start feeling cramped. I’ll try to take a picture of the queen next time I see her, in my eyes she is enormous. Unmarked as of yet something I would like to start doing but that requires some . Certainly compared to the queen in my first colony. I’ll have to start naming the colonies which I have read people do, to help keep them apart on the blog. I’ll have to put some thought in that. My first colony is still plodding along, no hurry. I think I’m going to replace the queen, hopefully with a queen from this second colony. I think I’ll remove the queen and then add a frame with eggs from the second colony, hoping that eggs from the second queen will produce a queen with a similar productivity. I wan’t to face the winter with two strong colonies.